There has been some great work done with building jurisdictions over the past few years to learn more about and to incorporate retrofit ordinances to reduce the earthquake hazard to buildings, but how prepared is Southern California as a whole? SEAOSC partnered with the Dr. Lucy Jones Center for Science and Society in 2016 to perform a survey of the critical building ordinances and policies that are vital to ensuring that the earthquake hazards to the buildings in our community are minimized. We provided the results to all 191 cities from Los Angeles, Orange, Riverside, San Bernardino, Imperial, and Ventura counties. 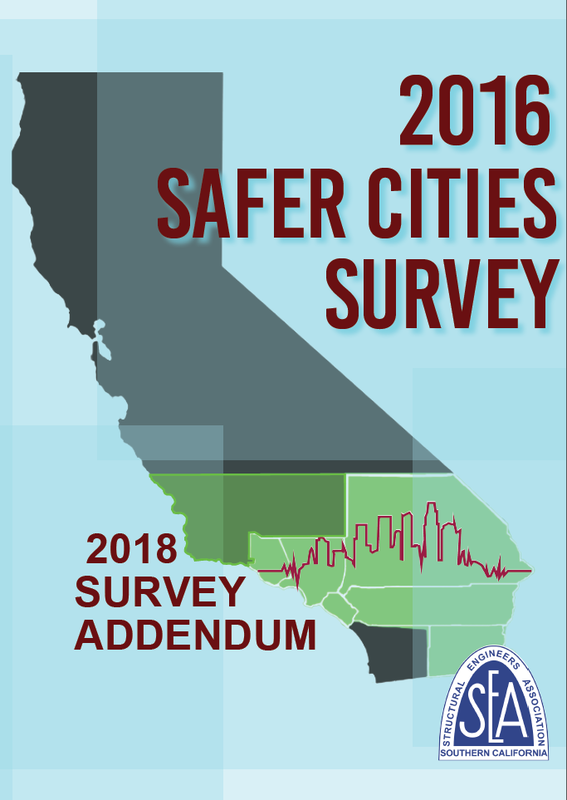 The Safer Cities Survey is designed to be used as a tool to help identify vulnerable building types, show where we are in addressing these buildings through retrofit ordinances, and provide a lens to better see where to focus our attention to reduce our vulnerabilities. Structural engineers have long recognized the need to strengthen existing buildings, but policy changes required to achieve this require input from many stakeholders and the skill and adeptness of our local leaders to advance common goals. As the discussion continues, SEAOSC will update the information in this report to measure progress, which is something we can only achieve with the stakeholders working together toward a common goal for safer and more resilient cities.